Whatever the cause, the tragically early death of Nick Talbot at the age of 37 robs us of a gifted songwriter whose best work could easily have been ahead of him. 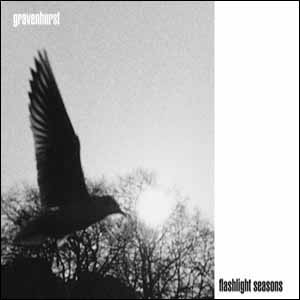 The unblemished purity of his voice was a perfect foil to the penetrating, sombre intelligence he brought to bear on the songs he recorded as Gravenhurst. Yes, they were dark, but they were also highly melodic, and shot through with deft lyricism. He could both move you, and challenge what you took for granted. He will be missed and I for one will continue to listen to the songs he left behind. Here are two of his finest. ‘Animals’, from 2005’s Fires in distant buildings, in which Nick imagines being both murdered and murderer, and ‘Bluebeard’, from 2003’s Flashlight seasons, which isn’t much less bleak, but is extremely beautiful. That is a powerful quote. Thanks for posting this. It is indeed. I’m not sure I can get fully behind it, but I certainly understand where Cyril Connolly was coming from when he wrote those words in 1949, and why Nick Talbot would have felt they were even more appropriate in 2012.